According to the National Institute of Health, approximately 20 percent of people in the United States have used prescription drugs at some point for non-medical reasons. 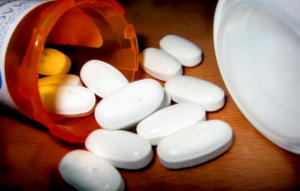 Prescription drug abuse has reached epidemic levels in our country. By some estimates more people are dying in our nation from prescription drugs than cocaine and heroin combined. While the statistics are devastating, there is hope for individuals who suffer from prescription drug abuse and addiction. Reading on, we aim to help you understand drug abuse a bit more in depth and offer advice for recognizing the signs of drug abuse and what people can do to help loved ones who may be suffering. The general definition of drug addiction is a chronic condition in which the individual can’t control his or her drug use and continually seeks out the drug despite negative consequences to that person or others. Drug abuse and drug addiction are similar, but there are distinct differences. Drug abusers may continue to use a substance in spite of negative consequences and may use more than what is considered a normal amount. According to most medical experts, however, drug addiction usually includes an increased tolerance to whatever drug is being taken and withdrawal symptoms will occur if the individual attempts to stop. Eventually, getting and taking the drug will dominate the lives of those who are addicted. If an individual takes a prescription drug in any way other than what it was prescribed for, this is a sign of abuse or addiction. Specific examples of this may include taking a drug that was prescribed for someone else, taking more than the prescribed amount of the drug, or taking the drug in a different way such as injecting or snorting the substance. Physical signs of abuse may include bloodshot eyes, a change in sleeping or eating habits, and unusual body odors. Slurred speech, impaired coordination, and an overall deterioration in appearance are also physical signs of drug abuse. Someone with a prescription drug problem may increasingly miss work or school. A sudden need for money or a change in friends and relationships are signs of a problem. Psychological warning signs include mood swings, sudden irritability, and paranoia. Each individual may exhibit different symptoms, depending on the drug that is being abused. Lethargic behavior and difficulty concentrating may be seen with drugs that are depressants, such as Valium and Xanax. Anxiety, irritability, and dilated pupils are symptoms often seen in amphetamine addiction as well. There are many reasons why some individuals seem to more easily become addicted than others. A loved one who has a family history of drug abuse, had a traumatic experience in childhood, or suffers from depression or anxiety may be more likely to abuse or become addicted to prescription drugs. If a loved one is exhibiting signs or symptoms of abuse or addiction there are several things that can be done to help. The first step is to immediately intervene. This may be difficult but it’s imperative to get the person help as soon as possible. It’s a myth that those abusing drugs must hit rock bottom before they’re able to receive help. Those with prescription drug problems can receive help at any stage. Getting the individual help as quickly as possible is the best course of action. Those who hope to help a loved one should reach out to others for assistance and not attempt to help the person completely on their own. Contacting other family members and friends is necessary to build a network of support for the person. Sometimes the person wants to stop and can’t, other times the individual is in denial and an intervention may be necessary. Finally, those helping someone who is suffering from drug abuse need to make sure to take care of themselves in order to effectively help another. Because long-term drug addiction can alter how the brain functions, working with trained professionals is the best way to help individuals overcome their addictions. The amount of time it takes for a person to withdrawal from prescription drugs varies, depending upon the drug, how much has been taken on a daily basis and for how long. These variables, as well as the fact that detoxification can sometimes be dangerous, make inpatient rehab with medical supervision the best choice for overcoming abuse and addiction. Withdrawal from depressants such as Xanax and Valium often include a tapering off method, which needs to be overseen by a medical professional. Rehabilitation is about more than safely coming off the drugs. It’s also about dealing with the underlying issues that caused the addiction in the first place. These issues may by physical, emotional, or psychological. A quality rehab facility will have a variety of trained professionals to help the individual face and overcome the specific issues he or she may be dealing with. Finally, rehab is beneficial because individuals can entirely devote themselves to the recovery process. Without having to worry about the day-to-day stressors and triggers of living, such as laundry and preparing meals, a person can completely focus on recovery. Prescription drug abuse is just as important to address as any other drug abuse and addiction problem. Just because these drugs are legalized, does not mean they can’t cause harm is used incorrectly. If you believe you or someone you love may have a problem with prescription drugs, talk to someone as soon as possible to help achieve sobriety and recovery.